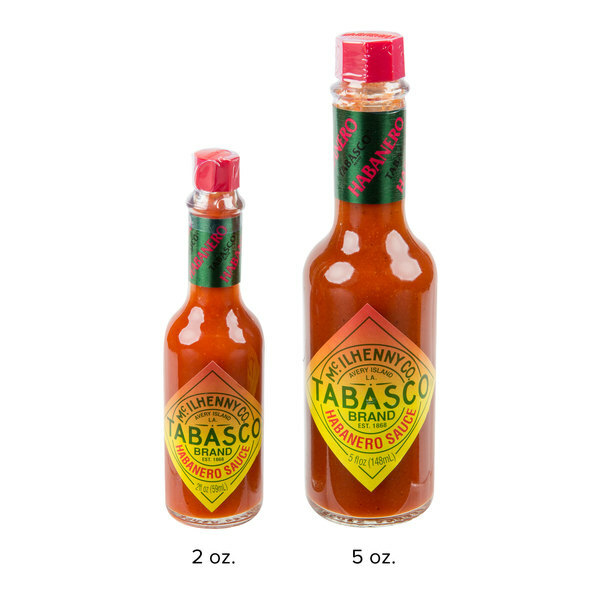 TABASCO® 2 oz. 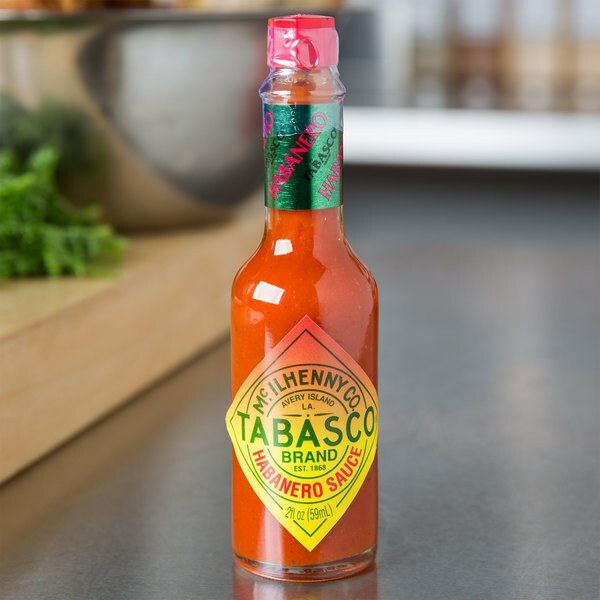 habanero hot sauce provides a quick and easy way to flavor your dishes! 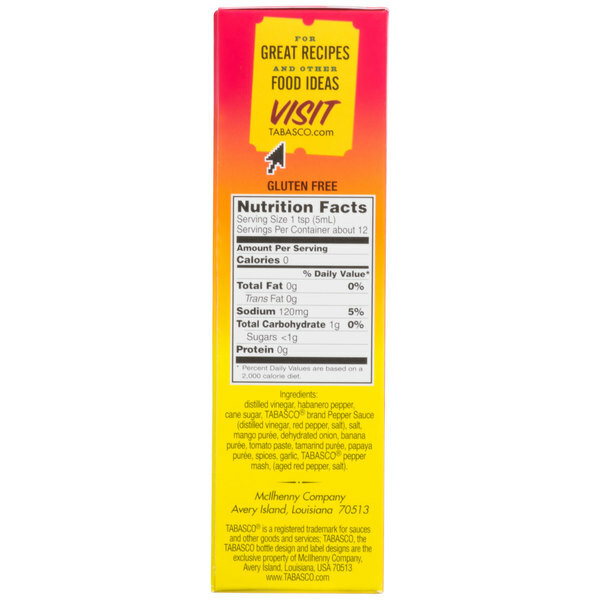 This Jamaican-style sauce contains a blend of tropical fruits and fiery peppers to bring a hot Caribbean flair to whatever you make. 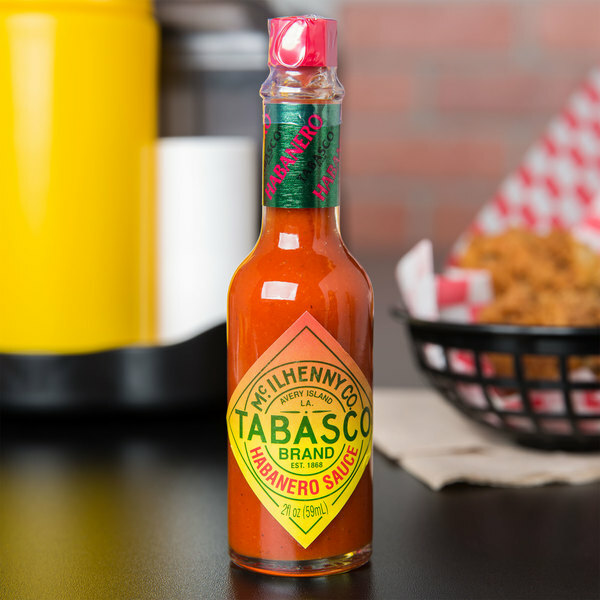 Choose TABASCO® hot sauce for your restaurant or event, and your guests will recognize the brand name as one that stands for consistent quality and taste! 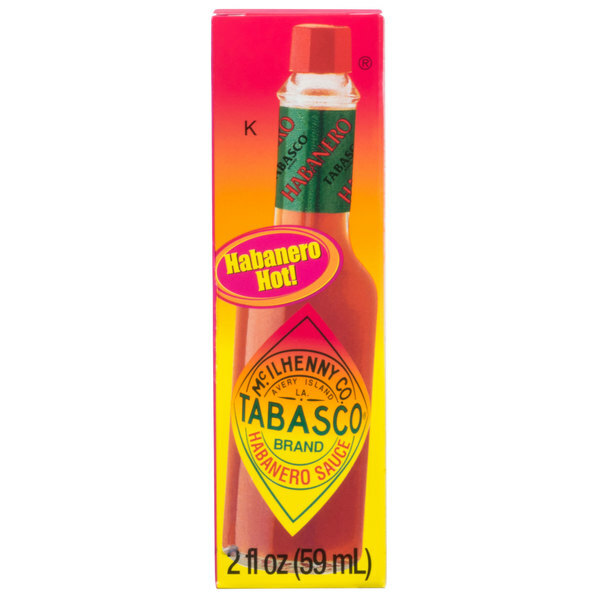 Even hotter than the original TABASCO® hot sauce, this habanero sauce is sure to bring the heat with a heat unit rating greater than 7,000. 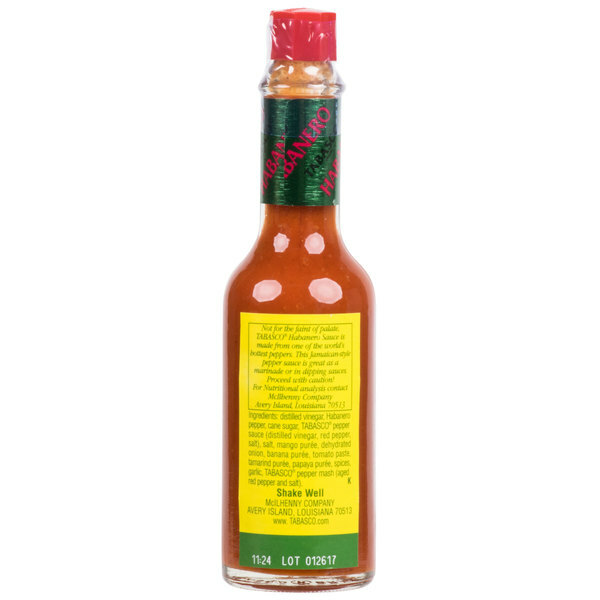 Just a few drops of this sauce will enhance grilled steaks, ribs, and chicken. 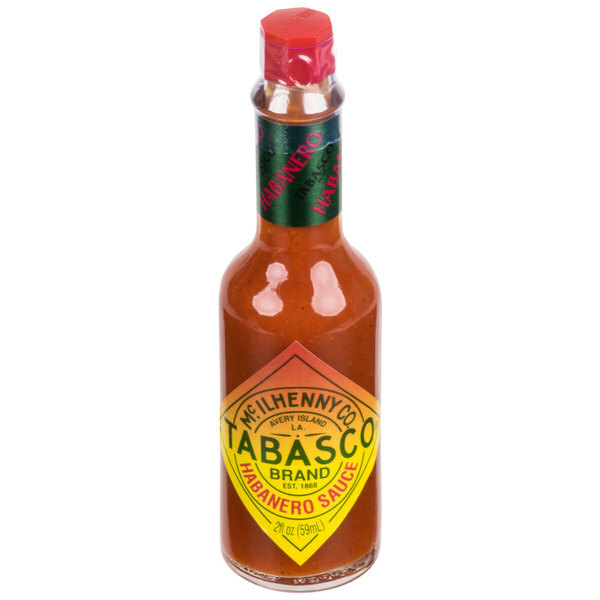 In fact, it also acts as the perfect secret ingredient to make your signature BBQ sauces, marinades, and glazes even better! 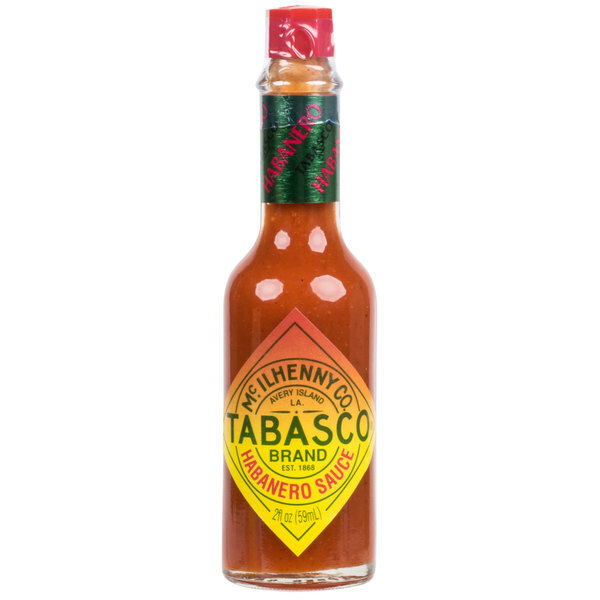 No matter how you use it, the fiery, sizzling flavor makes an excellent addition to any meal. This 2 oz. bottle is great for portion control in the front of the house. 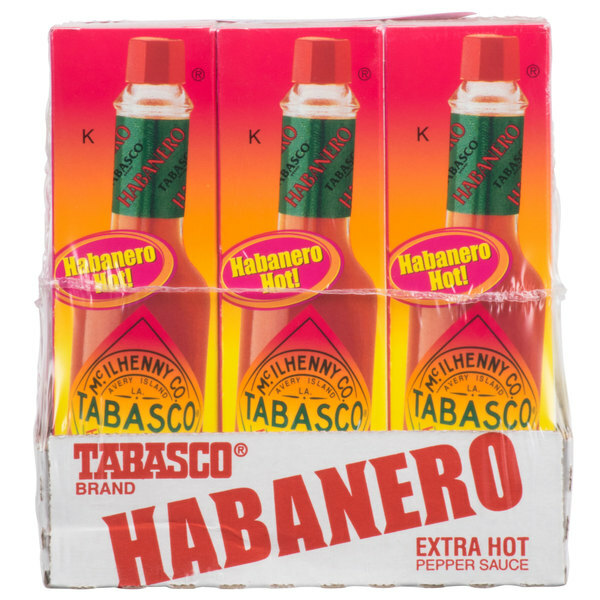 Customers can simply remove the cap, add a few dashes to their dishes, and experience the unmistakable TABASCO® flavor they love! This item is certified Kosher per the manufacturer.